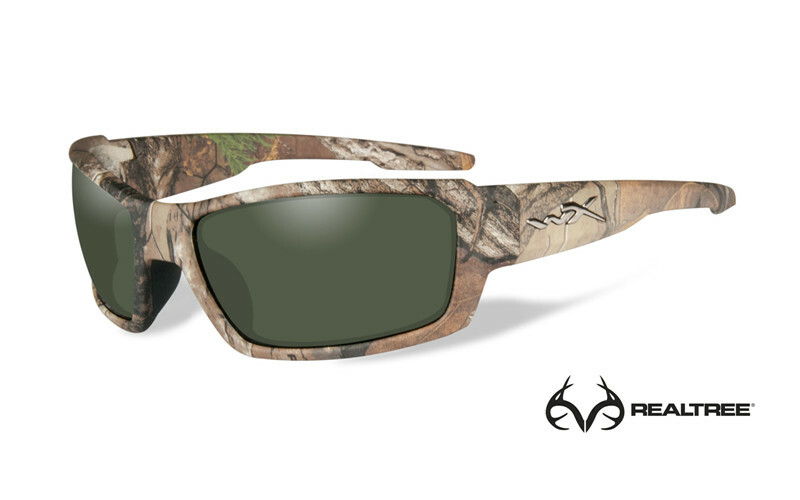 Realtree Xtra® Camo Frame and Polarized Smoke Green Lenses give you the perfect formula for protective eyewear granting safety to your eyes. The rubber injected nosepiece will always provide you with a fantastic grip – no matter how hard you test gravity. The Wiley X Filter 8™ Polarized Smoke Green polycarbonate lenses offer maximum glare reduction without distorting colors. Great for general daytime use. The WX polarized lenses provides 100% UV protection and is coated with hydrophobic and anti-reflective coating protected by the T-Shell™ scratch resistant layers.